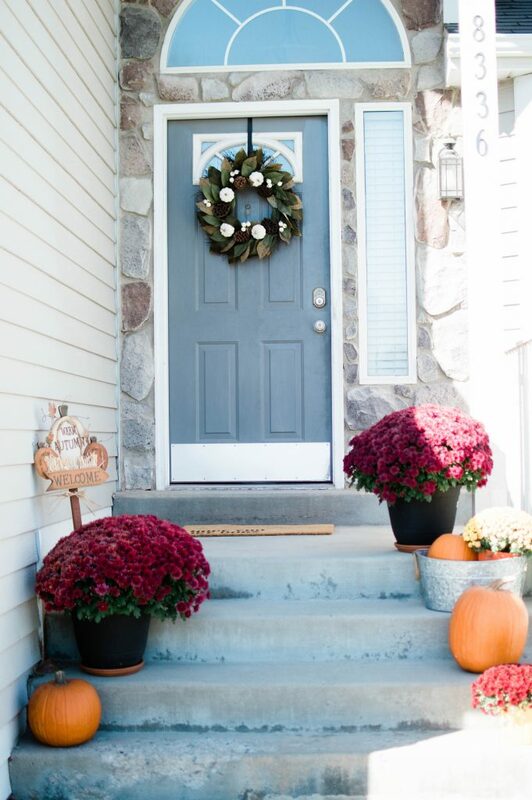 I really wanted to do something to my front porch this year that made it fall-ish and festive. My mom always had a super cute front porch during this time of year, but I, unfortunately, didn’t receive her green thumb, so the last few times I’ve brought plants home, they died within a week. Oops. 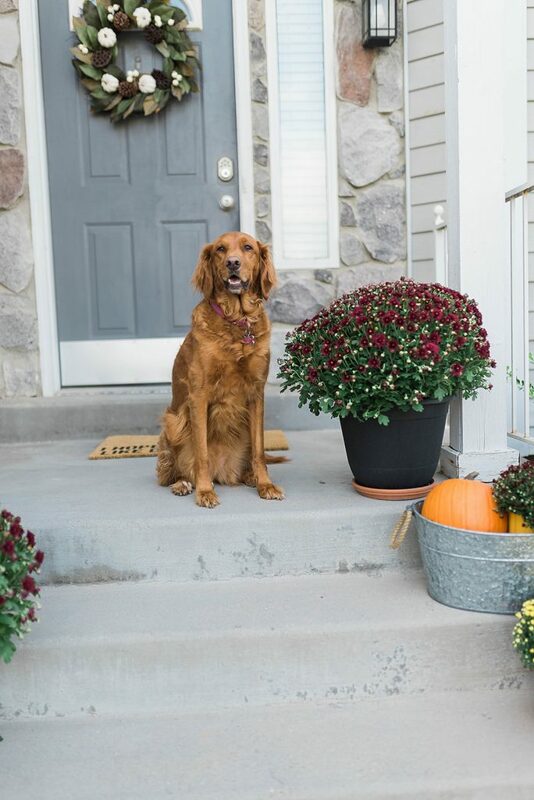 This year, though, I was determined to have some fall colors on my front porch and to do it on a budget since ya know, money doesn’t grow on trees and also, I didn’t want to spend one hundred dollars on plants that I might kill within the span of the week. To be honest, I almost didn’t share this online because my porch and my decorations aren’t Pinterest-worthy by any means. I’m no interior designer or decorator and it took me a whole weekend to figure out how many pumpkins I needed to add to balance out my flowers. But, I am really proud that these plants are still alive after three weeks and to be honest, they just make me really happy. I love coming home and pulling into my driveway and seeing the pops of color on my front steps. 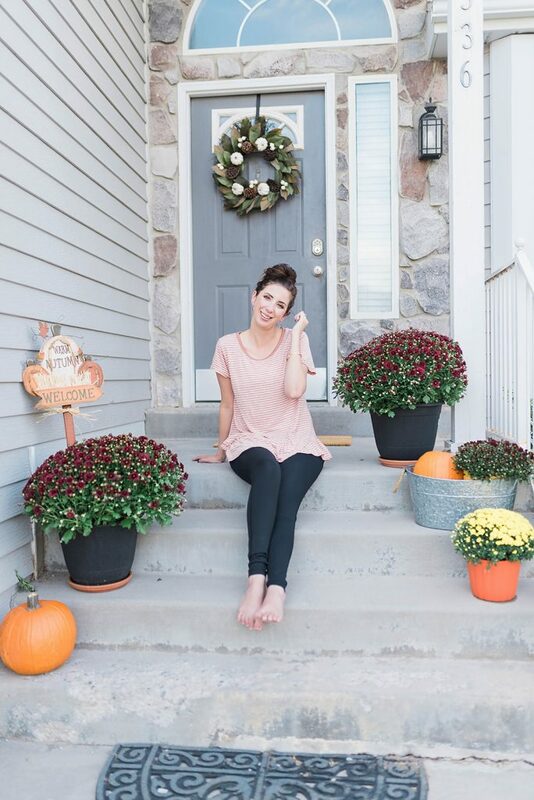 Decorating my front porch for fall has taught me that things don’t have to be 100% Pinterest-worthy or over-the-top to bring joy to my life. The fact that I took the time to buy some plants and pumpkins and make my house feel more festive is enough for me, and I hope that it’s enough for you. So, at the end of the day, just remember to do what brings you happiness and adds a bit more vibrancy to your life. 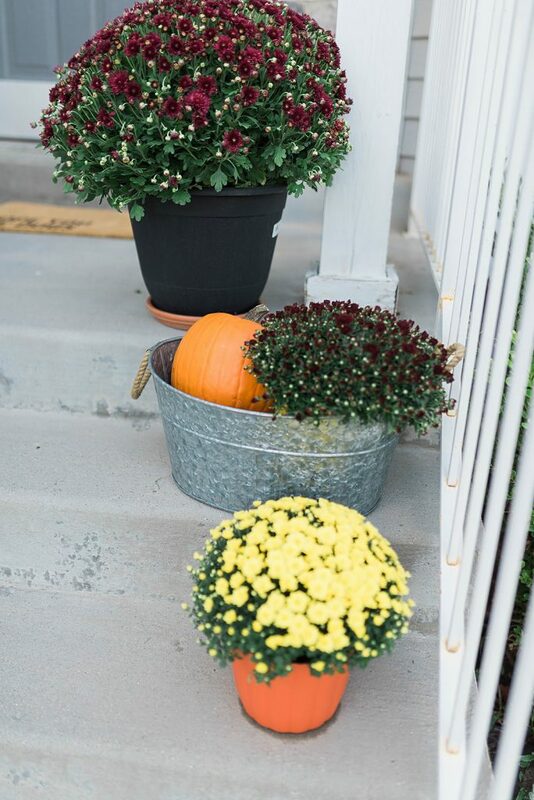 Big Mums – $13.99 – Okay, this is basically the best part about this whole porch: the fact that these GIANT pots of mums were only 13.99 each. COSTCO FOR THE WIN! I was looking at Mums about 1/2 the size at Home Depot and they were freaking $25.00 and that was definitely a hard pass for me. Not only are these Mums from Costco so giant, but they are also so, so healthy and so vibrant. 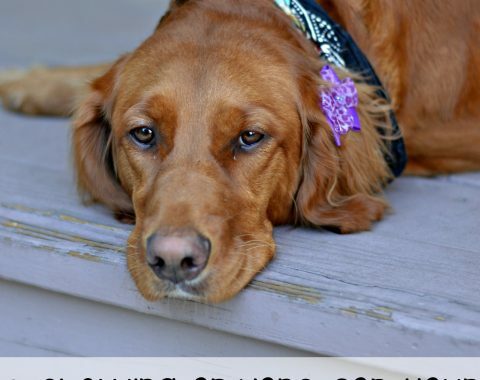 They bloomed within 3 days of taking these photos and have been going strong ever since. Mums are also super hearty and can go without water for a day or two, so it takes a bit of neglect for them to die. 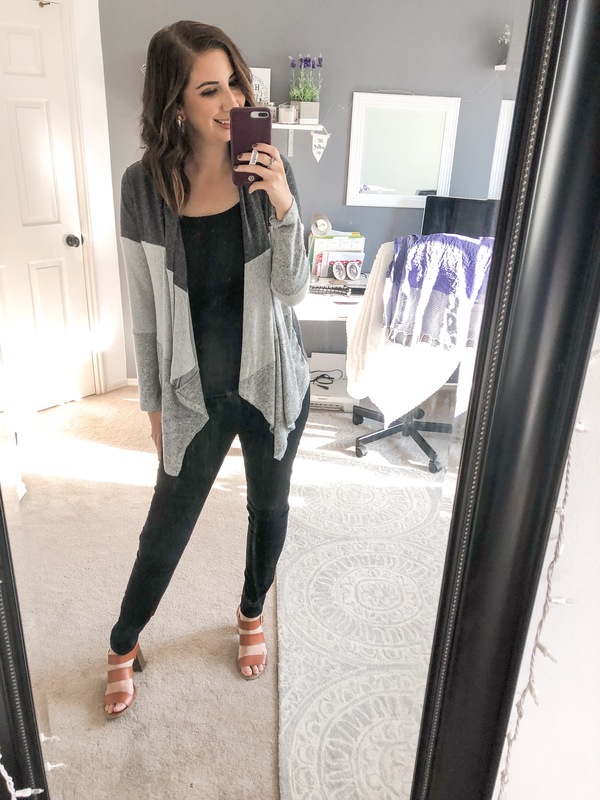 Baby Mums – $4.99 – I got the smaller pots of Mums from Walmart for $4.99 and I felt like that was a fair price, especially since the pots they came in were so colorful and cute. These ones were definitely not as healthy as the ones from Costco and it took me a week of them living in my kitchen sink and being watered 2-3 times a day to get them to perk up. (And yes, I did actually save them! 10 points to me!) Still, I couldn’t be mad at the price. 10 bucks for two little pots of Mums? If I killed one, at least I was only 5 bucks in the hole. 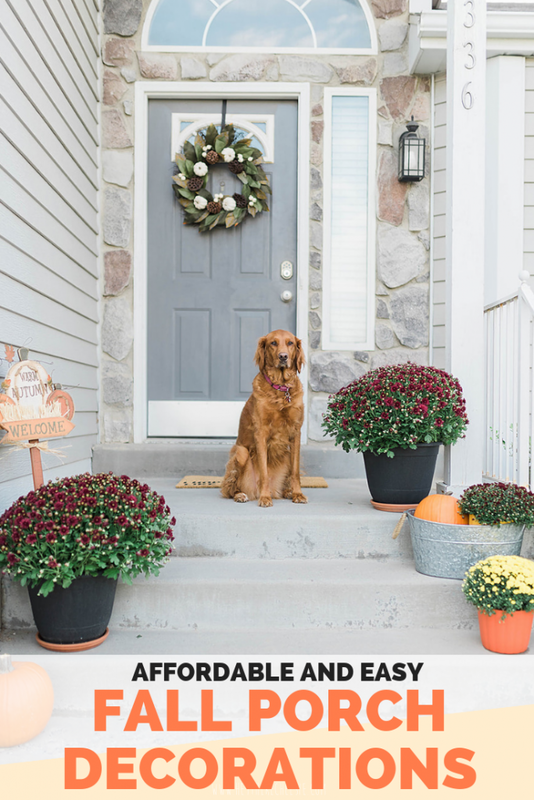 Metal Bucket – $16.99 – I got this metal tub from HomeGoods during the summer when we were transforming our backyard and building our pergola. It was perfect for BBQ weather and for keeping sodas and drinks cold. Since BBQ weather is over now (for the most part) I wanted to repurpose it’s use and LOVE how it looks on the front porch holding the pumpkin and baby mum! 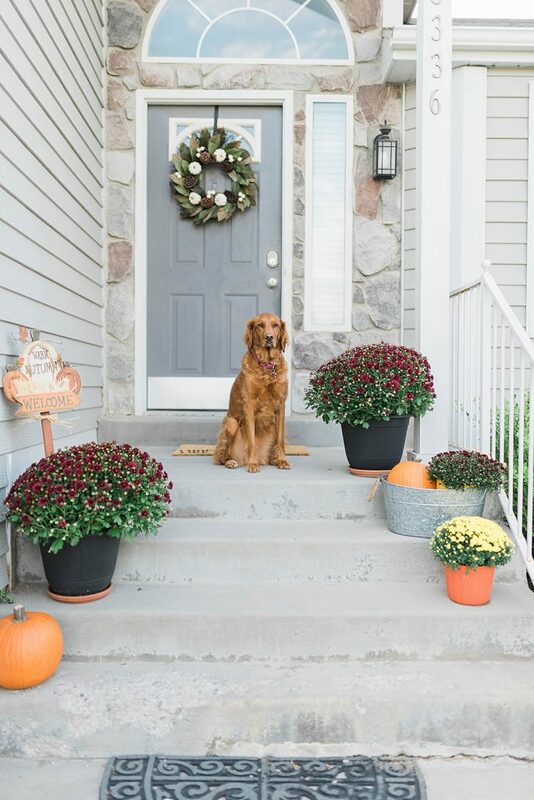 It was the perfect way to add a little bit of texture and variety instead of just putting pumpkins and mums on the steps. 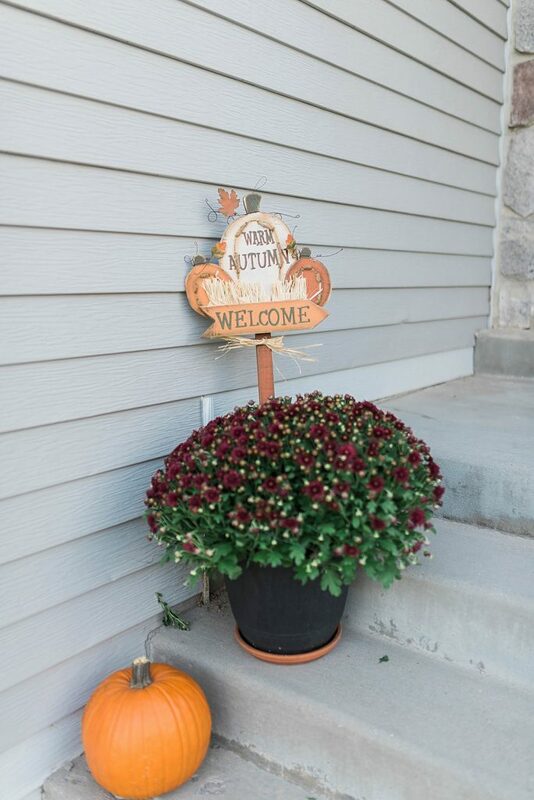 Welcome Autumn Sign – $7.99 – Hobby Lobby come through! I originally wanted to get one of those giant vertical signs for my front porch and couldn’t find them anywhere. I actually have a friend in Idaho who makes them and is working on one for me that will be perfect to put on the porch during Thanksgiving and Christmas (it’s going to say Thankful on one side and Joy on the other!) But, I still felt like I needed some kind of signage/words on the front porch and grabbed this cute one from Hobby Lobby. I think it’s meant to be stuck in your yard, but I decided it’d look better in one of my big mums. I like that it adds some variety in height and it’s cute and rustic. 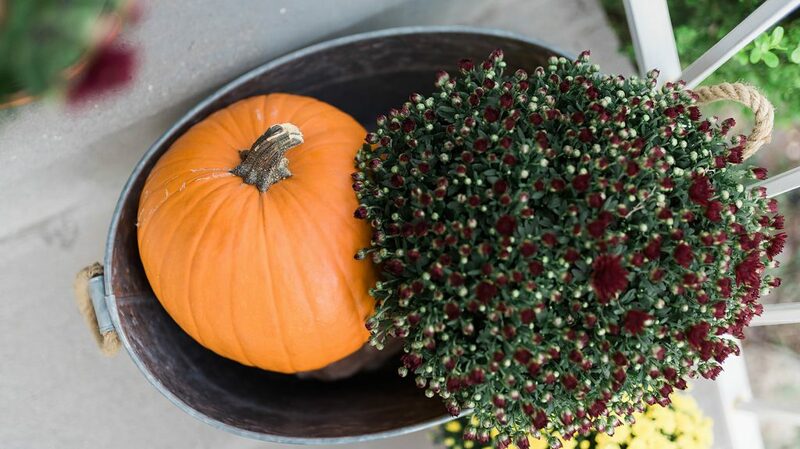 Autumn Wreath – $24.99 – Another HomeGoods find. Seriously, that place is magical. Also, dangerous. Especially when the Christmas decorations come out. But I digress. I really wanted a fall wreath that was more a bit more neutral since I was playing with so much color with my Mums. I also wanted a wreath that would transition well into Thanksgiving, because wreaths are surprisingly expensive. I love that this one is a bit minimal and has a classy feel to it. Exactly what I was going for. Kink-free Hose – $36.00 – Okay, so this isn’t a decoration but I HAVE to give it a shoutout because it’s the only reason why my plants are still alive. Dustin came home with this Kink-free hose to replace the old green one we had and it seriously was life-changing. It is SO easy to want to water my plants because I’m not wrestling with the hose while trying to get it to the plants. 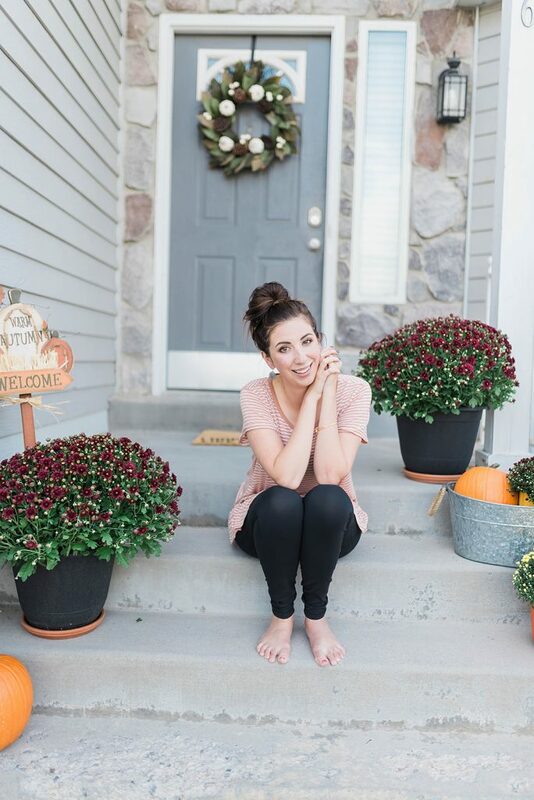 Because I decorated this porch while Dustin was in Chicago on business, I made a little vlog of my adventures buying my decorations and setting up my porch (because I was a little lonely, haha.) So, if you want to watch how this all came to pass, click play below! What do you think? Doable? Easy? Affordable? Some-what Pinterest-worthy? 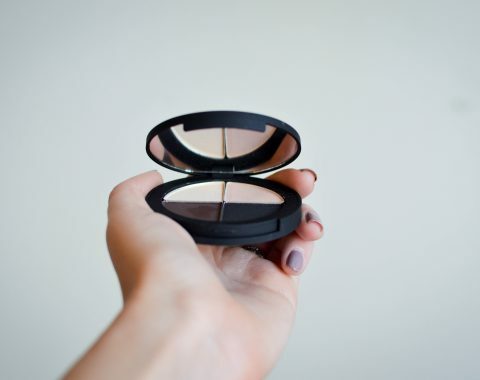 If you think it is, will you pin the image below to Pinterest?